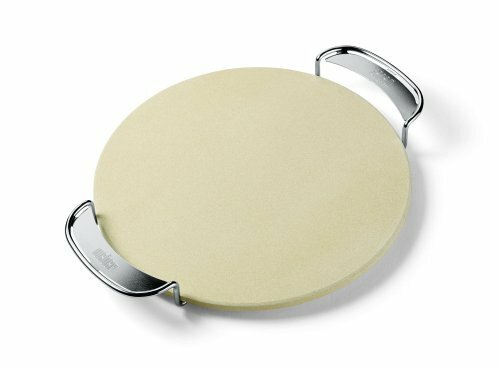 Pizza stone enables you to add a smoky flavor to your favorite homemade pizzas! Cordierite stone absorbs moisture during cooking, producing light and crispy thin crust pizza. Carry rack makes transporting the pizza quick and easy. Designed for use with the Gourmet BBQ System charcoal grate. If you have any questions about this product by Weber, contact us by completing and submitting the form below. If you are looking for a specif part number, please include it with your message.